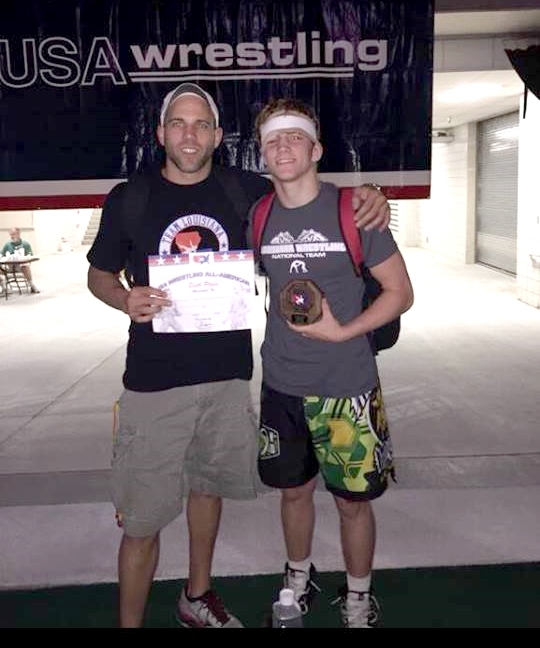 Kayser in action during the Greco-Roman event Kayser with his All-American 6th-Place Greco-Roman Award A bandaged Kayser with Coach Jon Orillion after the Greco-Roman competition. 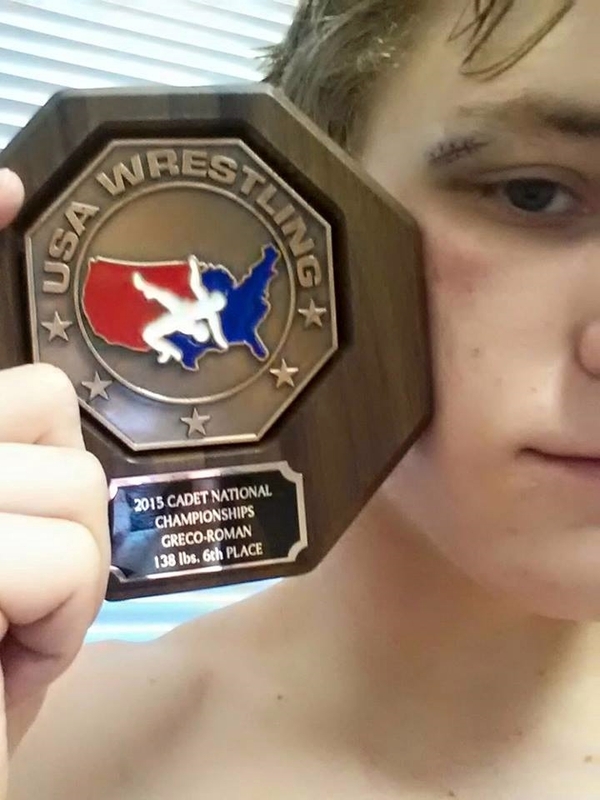 Kendon Kayser, fresh off of an All-American 6th-place finish in the USAW Cadet Men's Greco-Roman championships. has advanced to the quarterfinals in the Cadet freestyle 138 pounds competition. Kayser, after receiving a bye in the first round, pinned New York's Steven Isaac in 1:08 and followed that with 10-0 technical falls over Marylland's Andrew Shiman and California's Joseph Barnes. Of the Louisiana wrestlers who have been eliminated from the event, Blake Mateau (106) won three matches against two losses, and Joey Foret and Josh Ramirez each finished with records of 2-2. 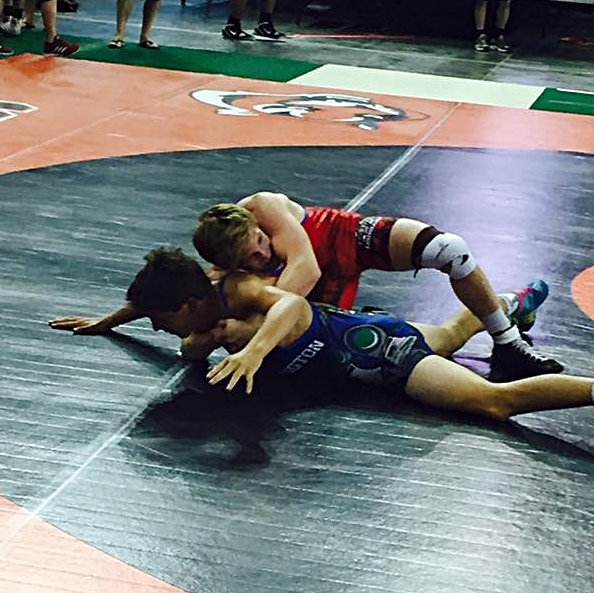 Louisiana wrestlers next compete in the Junior freestyle competitions, starting July 23rd through July 25th.